What's this book about? That depends on who you ask. 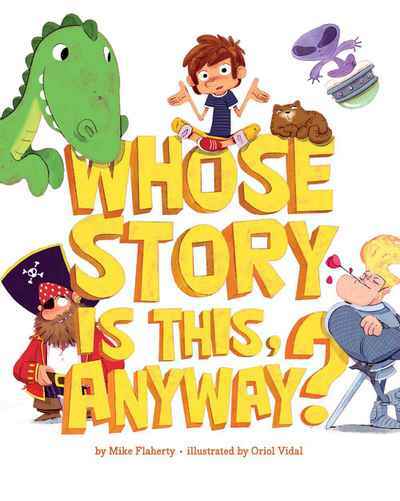 Our humble narrator thinks he's got a great story for you, but a scallywag pirate, a ravenous dinosaur, and an alien beg to differ. Soon a whole cast of colorful characters is breaking in to take over the story. If they could all get on the same page, this might just be the best story ever.